TROPICLEAN NATURAL FLEA & TICK SHAMPOO, MAXIMUM STRENGTH to kill fleas, ticks, and mosquitoes. 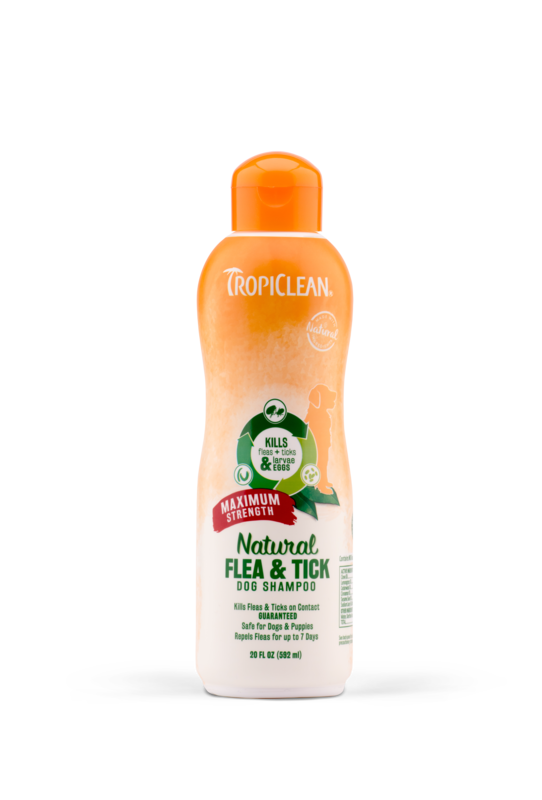 TropiClean Natural Flea & Tick Maximum Strength Shampoo kills fleas, ticks and mosquitoes by contact. Our maximum strength formula repels fleas for up to 7 days. This natural essential blend contains some of nature’s most powerful pest fighting ingredients, maximized with lemongrass and sesame oil, for long lasting effects. Powerful and effect but safe enough for routine pet baths on dogs, cats and puppies 12 weeks and older.